Disney’s Dumbo was always one of the saddest animated films from the studio. A tiny elephant who’s teased for his floppy ears and cries over his locked up mother isn’t exactly a Disney movie to bump up your spirits. But the loneliness and gloominess of Dumbo’s circus life is a great match for Tim Burton, who’s reimagining the 1941 original for an even darker remake. The first teaser trailer for Burton’s live-action Dumbo is as magical as it is dreary and dark, both atmospherically and visually. We see little Dumbo hiding in a pile of hay and shedding tears as he watches his mother carted off in a locked cage – yep, Burton’s going to make you weep in this one too. The trailer also shows a brief look at his drunken pink elephants hallucination, which looks much less creepy than the original. Burton has also enlisted a killer cast to play the circus folk, including Eva Green’s acrobat, Colin Farrell as a one-armed former circus star and his two kids, Danny DeVito’s ringleader, and Michael Keaton as the villain. Check out the poster below. 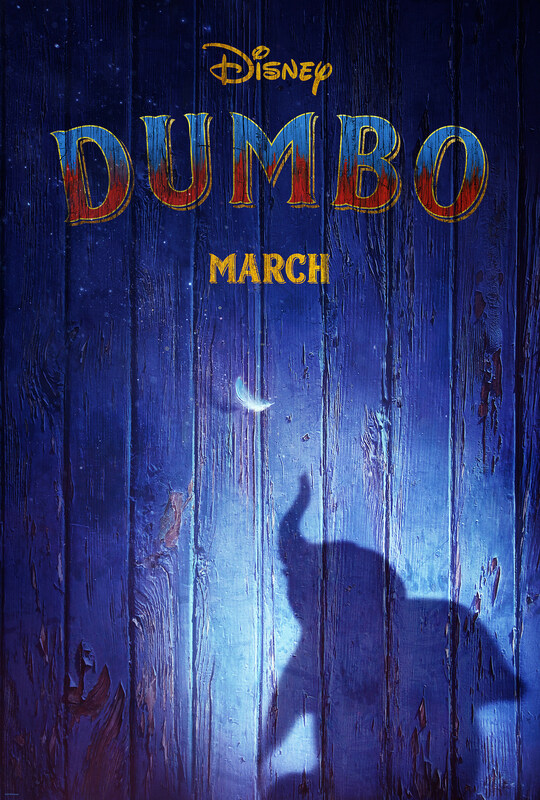 Dumbo hits theaters March 29, 2019.